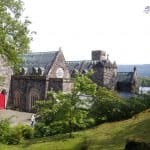 Saint Conan’s Kirk is situated on the banks of the beautiful Loch Awe and is widely acknowledged as having some of the best views in the Highlands. 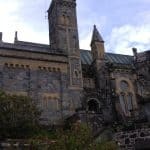 Although the front of the building is relatively simple, as you move around towards the loch on the South side you’ll notice that it’s actually extremely ornate, with decorative facades and gargoyles aplenty. The rear of the kirk is a perfect photo opportunity for capturing the spirit of the Highlands, and across Loch Awe you can clearly make out the mountain of Ben Lui which overlooks the glens of Lochy, Orchy and Strae. 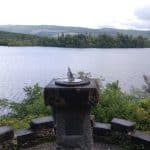 You should also be able to make out the islands of Innishail and Innischonain, with the latter being renowned as the family home of Clan Cambell, who built Saint Conan’s Kirk. The kirk is located close to Ben Cruachan so you might like to include a visit with a walk up the mountain to look at the dam, and there’s also the Ben Cruachan visitor centre just down the road if you want to take a journey deep inside ‘The Hollow Mountain’. There are many fascinating points of interest inside the church but perhaps the most spectacular is the concave chapel surrounded by stone pillars and huge stained glass windows that allow sunlight to flood in. The windows are the first thing that capture your attention when you walk in and on a sunny day the light bathes the interior in a golden glow that makes for a fantastic photo opportunity. Nearby at a slightly lower level is the vault which contains the remains of both Walter and Helen Campbell, and there are lots of engravings if you take the time to look closely at the stonework. The kirk is today managed by a trust which aims to maintain the building in its full glory, and they do a remarkable job seeing as they rely entirely on donations. This isn’t the biggest attraction in this part of the Highland’s by any means (I think that award goes to nearby Ben Cruachan), but it’s well worth visiting and makes an interesting diversion if you’re on a HIghlands road trip. 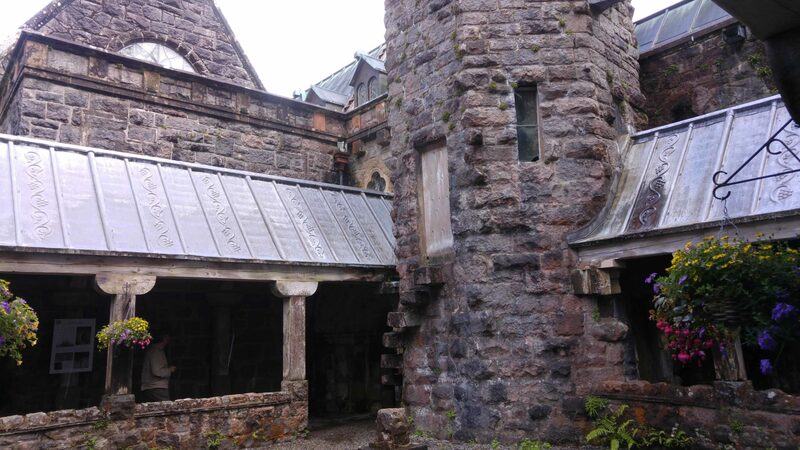 St. Conan’s Kirk was originally built by Walter Douglas Campbell in 1886 for his mother because she found the journey to the local parish church too tiring. As a talented architect and wood-carver, Walter Campbell devoted all his energies to creating a beautiful building for his beloved mother and many of the details inside the church are dedicated to his own family as well as the local community. The building as we see it today was constantly improved until 1914 when Walter Campbell died, although his sister Helen continued improvements until her own death in 1927. The namesake of the kirk, Saint Conan, is the patron saint of Lorne and is reputed to have lived in Glenorchy until the time of his death in 684 AD. Originally from Ireland, he rose to prominence as a Bishop after being chosen to tutor two of the sons of the King of Scotland, and he became famous for the story in which he supposedly met with the Devil to discuss the fate of the souls of the people of Lorne. Saint Conan’s Kirk is in the village of Loch Awe, on the A85 between Dalmally and Oban. The kirk is 20-30 minutes away by car from neighbouring Oban, Crianlarich and Inverary, an hour and a half from Fort William, Dunoon and Glasgow and 2 hours from Edinburgh. 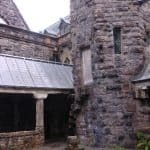 Although there is no admission charge for St. Conans Kirk, you are requested to make a donation to help keep the site running. A donation box is kept inside the building.